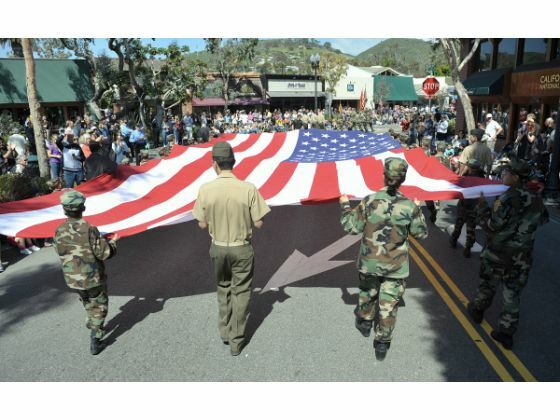 Hobie Shop :: Laguna Beach ‘Patriot’s Day Parade’, Now with More Shave Ice!! UPDATE :: THE PARADE HAS BEEN CALLED OFF DUE TO RAIN FOR 2014, BUT THE SHAVE ICE WILL STILL GO ON!!!!!!!!! 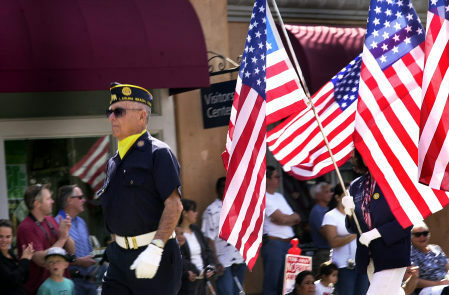 The 48th annual Laguna Beach ‘Patriot’s Day Parade’ will make it’s way through the city on Saturday March 1st at 11am!! The theme of the parade is ‘The Home of the Free Because of the Brave’**. It’s a fantastic community wide celebration with all kind of fun, and we can’t wait to be part of it again this year!!!! Along side all the floats, vintage cars, school bands, wild costumes, civic and veterans organizations that are sure to march, we will have our own entry into the parade again this year. We don’t want to give too much away, but… think green, a little white ball, and fore. ;) Since we are celebrating our 60th birthday all this year, expect a few extra surprises. Oh, and the rain will not be stopping our good time. As of this minute, the parade is a 100% GO. But…. if, and it’s a big IF, the parade gets called because of the weather, all our inside the store plans will still be Game On. And what are those in store plans, you ask??? Tasty Shave Ice From Olukai!! Yum!!! We are partnering with our friends at Olukai to bring you sweet sweet delicious extra super special sauce tasty, Shave Ice!! 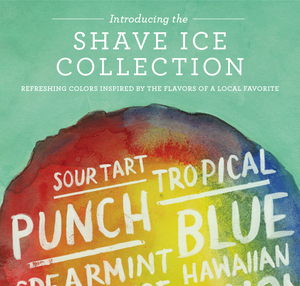 From 12-2pm on Saturday enjoy a free shave ice served up in our Laguna Beach Hobie shop, while supplies last (about 200 servings!! So, you should be all good!). When you are in, you can try on a pair of their crazy comfortable sandals inspired by the brightly colored shave ice. Olukai makes some of the best, most durable, footwear around. They are always a top customer pick. We are stoked they are coming in to help make this Laguna Beach tradition an even more inviting one!! Yea Olukai!! The Rain Would Have to Get Biblical to Stop the Guy From Marching! This entry was posted in General and tagged 2014 parade, 2014 Patriots Day Parade, california, free shave ice, hobie, Hobie Shop, Hobie surf, Hobie Surf Shop, Laguna Beach, laguna beach parade, laguna beach tradition, olukai shave ice, patriots day, patriots day activities, Patriots Day Parade Laguna Cancelled, surf shop blog. Bookmark the permalink. ← Hobie Shop :: ‘Hobie : Master of Water, Wind and Waves’ Back in Stock! !